In the last budget, the Australian Government announced a suite of reforms designed to reduce pressure on housing affordability. The announcements were a response to a number of years of housing struggle; unaffordability at the bottom of the market and impracticality for those approaching 65 who own large homes but may not be seeing the lifestyle they’d have desired in their future. We’re going to focus on the latter in this article – because the Contributing the proceeds of downsizing into superannuation measure opens up some really interesting possibilities. It’s especially relevant if you’re worried that you won’t be able to afford the lifestyle you want in retirement. If that sounds like you, read on. So what’s the downsizer measure? The new measure brought in on July 1 allows people 65 or over to contribute up to $300,000 to their super from the proceeds of selling their home. Plus a few more points of eligibility you can find at the ATO website. Once you receive the proceeds of the sale, you have 90 days to make the contribution. The ATO will grant exceptions in some cases if the delay is out of your control (more on that later). It’s important to note that the contribution cap is $300,000 EACH. So, for couples, that doubles. The contribution is not a non-concessional contribution (that is, you’ve already paid tax on it) so it won’t count towards your contributions caps. However, downsizer contributions are NOT tax deductible and will be taken into account when determining your eligibility for the age pension. At Meridian, we talk a lot about planning for retirement. It’s more than just putting pennies away in the hope that you can make keep paying the bills. If you’ve worked hard, prepared and made good choices, there’s no reason you shouldn’t have your ‘ideal’ retirement, whatever that looks like. And with some clever moves as you approach 65, it’s possible to live your best life after 65 and still have some left over to help the next generation. Here’s how the Contributing the proceeds of downsizing into superannuation measure might play out for you and your family. Let’s say you and your partner sell your home and downsize. The difference is $400,000. You both split the pot and contribute $200,000 each. Ok, now a tougher one. Let’s now say that you’re ready to move to a new home. You buy a home in a new one and sell the old place, but there’s an issue with the council approvals and settlement on the new home is delayed. Because the delay was out of your control, the ATO would grant an extension to a new date at their discretion. However, if you changed your mind, or didn’t submit the paperwork correctly or on time, the ATO would be a lot less likely to allow you any more time. Using the Contributing the proceeds of downsizing into superannuation measure in your favour is as simple as following a few steps and getting the right advice. Remember that the profit from your sale will become assessed by Centrelink, so it’s worth discussing that with them as well. Then, if you are still confused and need a hand we’re here to help. Give us a call on 03 9650 5281. 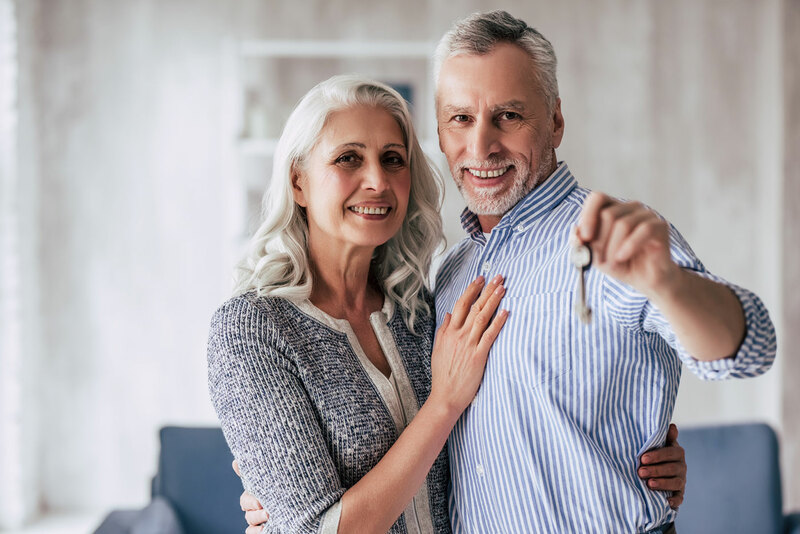 The Contributing the proceeds of downsizing into superannuation measure makes it easier for those over 65 to contribute up to $300,000 to their super from the proceeds of selling their home. It could be a great way to get to your ideal retirement lifestyle. A smaller house to look after and plenty of extra money in the bank for retirement – win-win! Our managing director Paul has written about it for our blog. Check if you’re eligible and see how the Contributing the proceeds of downsizing into superannuation measure might play out for you and your family. And of course, if you want to know more, we’re here to help. Just get in touch! I speak with lots of people about what they’re going to do when they stop working. One common thing I see is that people don’t feel like they’ve ‘earned’ the right to have the retirement they’d actually like to have. I try and tell them that there’s nothing to be guilty about. If you’ve worked hard, prepared and made good choices, there’s no reason you shouldn’t have your ‘ideal’ retirement – whatever that looks like. Part of making good choices is keeping up to date with government initiatives designed to help people in retirement. I’ve written an article for the Meridian blog about one in particular. A smaller house to look after and plenty of extra money in the bank for retirement – sounds pretty good to me! And of course, if you want to know more, we’re here to help.